Earlier this month we introduced you to Gone To Waste and we had the privilege of exclusively streaming their upcoming LP Barking Dogs Don’t Bite. The band had been around since 2009 and brought out four previous releases, but no full-length yet. The band says the record’s sound can be described as ’thought-out, groovy heaviness’; if that’s true this record should be a banger! ‘Education/Fabrication’ immediately delivers the ‘thought-out, groovy heaviness’, so the guys didn’t lie at all. Lyrics about a rotten and dark world are spat out with a raw and harsh sound by singer Lukas. You won’t find any positivity on this record. Lukas doesn’t stand alone on this record, there are a lot of guest vocals: Brutality Will Prevail‘s Ash Gray can be heard on the title track, Janis and Sam from Dull Eyes on the track ‘Strassenblues’ and Jay, vocalist of Harm/Shelter helps out Lukas on the song ‘No Love’. Each and every of the guest vocalists take their role serious and are really a great addition to the songs. Biggest surprise on the record is the addition of breakdowns. This is something we didn’t hear from Gone To Waste before. Adding this element makes their sound even more heavy and versatile than it already is. The breakdown at the end of ‘Soulthieves’ is horrifying and bone crushing. There is something for everyone to enjoy, from the well-known thick groovy parts to sing-alongs, 2-steps and fast parts. There is not a dull moment listening to this record, not even when listening to it for the third or fourth time. The use of samples, the variety of sound and guest vocals all together make this record something really worth listening to. 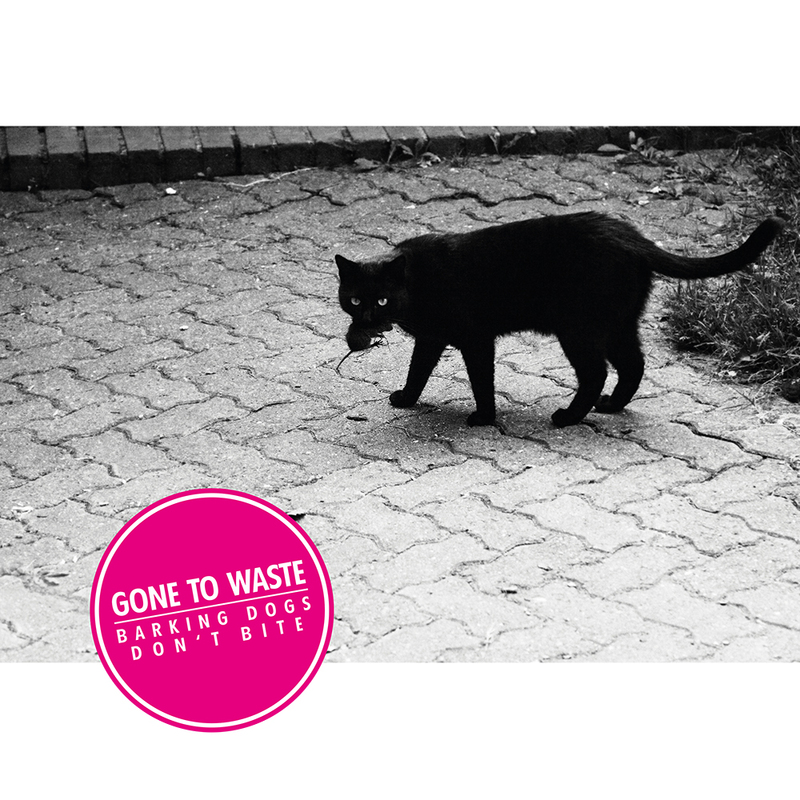 Gone To Waste delivers a solid and well-produced first LP. Highlights on the record are ‘Fool’s Path’, ‘Eternal Sleep’ and ‘Strassenblues’. But like said before, there is no boring moment or track on this record. Go check it out yourself and pre-order a physical copy of the record at the Powertrip Records webstore. Be quick, because the record release and pre-order edition are already sold out. You won’t regret it! Tags: Album, Artwork, Bandcamp, Barking Dogs Don't Bite, Cover, Download, Facebook, Gone To Waste, LP, Order, Powertrip Records, Record, Stream, Track List, Tracklist, Vinyl. Bookmark the permalink.